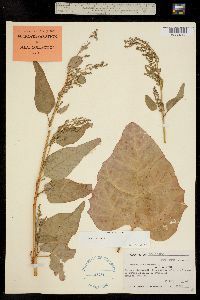 Locality: United States, Colorado, Boulder, In garden of E.A.P. Evans at Boulder. Habitat: A volunteer in a garden. Notes: Atriplex hortensis!, det. W.A. Weber, 1984. 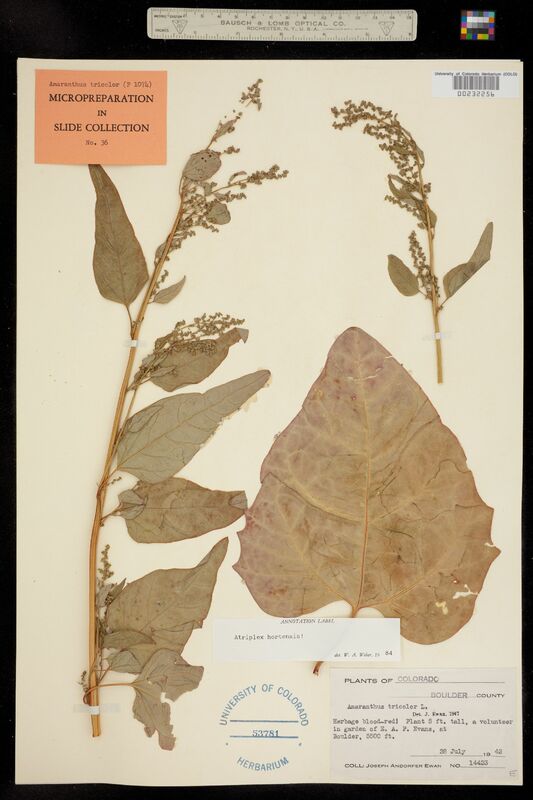 Original ID as Amaranthus tricolor L. Herbage blood red! Plant 5 ft tall. Micropreparation in slide collection. No. 36.